With years of experience as the “Top Dog” in Toronto Dog Walking, The Bark Zone thoroughly understands the temperaments, behaviours and needs of different dogs. Dogs are pack animals by nature and they thrive on frequent interaction with like-minded canines. Regular exercise and socialization is crucial in determining appropriate social structure and helping to maintain both the mental and physical well-being of your dog! The Bark Zone is pleased to offer professional group dog walking in some of Toronto’s best parks and trails. Our Pack Alphas ensure that your urban dogs are given the love, exercise and care they need while you’re at work while providing the extra physical activity and socialization that you may not be able to give them on a daily basis. We understand how hectic your schedule can get and with our help, you will never have to sacrifice the time and attention your dog both need and deserve again. Group walks provide your dog(s) with a minimum of one hour for play, exercise, positive socialization and education in one of Toronto’s greatest parks or trails. All of our Pack Alphas are professionally trained dog walkers that will use our off-leash graduation system to build a positive and secure environment that will help your dog develop a better sense of appropriate park behaviour. Our Alphas genuinely enjoy spending time with each of the dogs in their packs and teaching them how to appropriately walk off-leash and interact within a pack environment. *Packs In The Park is a maximum of 6 dogs per pack. We have designed our Puppy Visit Program to pave the way for effective training and socialization of your new pup before it is fully immunized and able to join one of our packs. Throughout the course of our 30-minute Puppy Visit, our qualified Alpha will interact with your new puppy and begin to socialize him/her with other dogs who are carefully selected to help prepare them for our Packs In The Park program! Puppies will also be relief-walked, fed, and played with during the visit. We can personalize Private In-Home Care for senior dogs that need special attention, asocial dogs that are unable to participate in group walks, and/or other pets with health issues that require extra care, feeding, or medication administered while you are away during the day. Throughout our 30-minute Private In-Home Visit, adult dogs will be relief-walked, fed (if needed) and given lots of love! There are no additional fees for administering medications during the visit. Whether you are working extra long hours, are going out of town, or simply just don’t have the time in a day to sufficiently exercise your exuberant dogs, The Bark Zone Toronto is here to help! Our Home-Style Dog Boarding and Doggie Daycare services are a dream-come-true for busy pet owners living in Toronto. We understand that we can’t always take our dogs or other pets with us when we travel. The Bark Zone Toronto is happy to offer two different types of Home-Style Boarding that ensures comfort and convenience for both you and your pets while you’re away. Our Alphas will care for your dogs as if they were their own! We will also integrate your dog(s) into our daily routines as much as possible and include them in our daily group walks at no extra cost for maximum socialization and exercise. Let us provide you with the peace of mind in knowing that all of your furry friends are getting all of the love, attention and exercise they need while you’re away! While you’re away, your dog(s) will get to enjoy a vacation of its own in the home of one of our trusted and experienced Alphas. We will keep to your regular schedule as much as possible during your dog’s stay in order to provide a sense of routine, familiarity and comfort. We do not crate our boarding dogs, unless that is their usual sleeping arrangement at home. Our home is their home! Our In-Home Stays are ideal for older, anxious or non-social dogs, or for other pets that love having the comforts of home while you’re away. Your pets will be happy, relaxed and well taken care of by one of our friendly and familiar Alphas in your absence. Plus, we will even water your plants, fetch the mail and provide your house with some security so you can enjoy your time away, worry-free! Activity for dogs during the day can help control, reduce, or even eliminate bad behaviour commonly caused by boredom, excess energy, separation anxiety and/or stress. Moreover, some dogs have such high levels of energy and excitement that one hour of exercise during the day is not enough to maintain stable health and good behaviour. The Bark Zone offers Doggie Daycare in Central Toronto to help your highly spirited canines expend excess energy all day long while they receive structure, education, have some fun and play with their friends. Plus, our Alphas will also help teach your dogs acceptable social behaviour for interacting with people and other dogs in an environment that is not their home, helping to reinforce that the rules don’t change just because the environment does!  In our DSL (Doggie as a Second Language) Training and Education programs, we help humans learn to speak dog. Learning how to properly communicate with your new puppy or adult dog is the most important thing you can do for your pack’s growth, development and success. At The Bark Zone Toronto, our certified trainers are experts in a wide range of dog training methods and techniques. We work with a broad spectrum of canine temperaments, from dogs with the simplest issues to ones with more serious behavioural problems. We will work side-by-side with you and your dog to build a strong foundation for your pack, resulting in permanent bonds that are based on obedience, leadership, trust, and mutual respect! Our personalized private training sessions will provide you with the tools needed to establish dominance as the Alpha both in and out of the home, fostering canine obedience and ultimately developing a deeper, more meaningful relationship built on a strong pack dynamic. This will enable you and your dog to go on more exciting adventures, enjoy a wider array of experiences, and share a fuller, richer companionship – especially on busy Toronto streets. What’s more, your dog will reward you and your family with even greater love, loyalty and affection because their role within the pack will become clear and secure through maintaining correct social structure and routine. It’s truly a win-win for all! It is never too early to begin preparing your new puppy for obedience training. With our Puppy Preschool program, you will begin learning the fundamentals of preparing your home and family for your puppy’s arrival. You will learn how to integrate your puppy into your life and how to teach your dog to start developing desired behaviours and behavioural patterns. Your dog will learn appropriate manners, boundaries and what your expectations are for it to become a welcomed addition to your family. In this stage of training, we will cover basic commands that will help you communicate your needs to your new puppy. At this stage of growth and development, dog owners need to maintain the social structure that has been previously established in order to ensure that desired behavioural patterns do not dissipate. Learning to obey fundamental commands is a vital part of developing a respectful, well-mannered adolescent dog both in and out of your home. Whether you are just starting with training, or building on Preschool, Grade School will teach you and your dog how to master more advanced commands that lead to a trusting and rewarding relationship both inside and out of the home, both on and off the leash. Once your dog understands the basic commands you will need to ensure that your dog behaves in disruptive environments and can make correct decisions independently. This stage of training will help you to achieve a deeper relationship with your dog as it teaches you how to strengthen and maintain your dog’s good behaviour in more challenging environments. Take your dog on busy Toronto transit, to work or to the mall; High School will allow you a whole new level of trust, freedom and enjoyment with your canine companion! Private tutoring with our Canine College program offers your canine companion the opportunity to spend quality one-on-one time with one of our trainers without the distraction of having mom and dad around. During these sessions, your dog will gain exposure to a variety of environments such as the local shopping mall, dog park or neighbourhood walk while we work on issues that are specific to your dog’s needs. The goal of this service is to widen your dog’s social experience while we maintain and strengthen their current repertoire of good behaviour. This post-secondary program is for those individuals or families who want to learn more about what a dog’s behaviour means. This course will provide you with the tools necessary to decode canine communication, making interactions at the dog park or within neighbourhoods a positive experience. It is easy to miss subtle cues that your dog may be giving you that can lead to undesirable situations and behaviours. Being armed with a strong base of knowledge about dog communication can help you avoid situations like dog fights at the park, “come catch me” games in the backyard, leash aggression and much more. We would be happy to work with you one-on-one or with a group of your friends and/or neighbours that will increase the opportunity to learn from a wider range of dogs, breeds and associated behaviours. Sometimes dog owners need to specialize their education because behavioural issues develop that require different techniques for behaviour modification. From under-socialized dogs who suffer from fear or anxiety, to pushy dogs who can become aggressive or possessive, we can teach you how to better manage your dog's behaviour. Being a confident leader who understands dog behaviour can dictate whether you maintain a relationship with our dog when dealing with a difficult dog. At The Bark Zone, we believe strongly that educating our clients will help them become savvy dog owners. This education starts when you begin thinking about bringing a puppy or rescue dog into your home. We work with our clients to help them make informed decisions about dog ownership, training, and pretty much anything "doggie" by offering initial consultations both in-home or over the phone. We would also be happy to assist you in the process of breed selection so you can start off on the right path. We can accompany you to the breeder or shelter to help you better understand what breed of dog or puppy would be best suited to your home environment and educate you in how to choose the right puppy or dog based on personality and mannerisms. At The Bark Zone, we will work with you so that you can be armed with all the tools you need to have a positive and fulfilling experience in dog ownership - a mission we commit ourselves to everyday. To learn more about what our training programs can do for your pack, set up an initial consultation today! Wouldn't it be great if your dog could be picked up from home, walked, groomed and dropped off, all while you're at work or busy with the kids? Your wish is our command! We’ll pick-up and drop-off your dog so you don’t have to stop your day to make a trip to the groomer. We offer full grooming services, from bathing to the works, including exfoliating massages. Our professional groomer has years of experience grooming dogs of all breeds and sizes. We take the time to work with each dog individually and make the overall experience a positive one. Our goal is to change the meaning of grooming for your dog using specialized handling techniques, ultimately making grooming a stress-free experience for your pup, each and every time. Instead of waiting for your phone to ring, let us unleash you by using our convenient taxi service. A new concept to the world of grooming, our pick-up and drop-off services enable you to sit back and know that your best friend will come back dressed to the nines. You can also arrange to have a daycare visit or walk before or after the groom if one isn’t already scheduled. Our boutique spaw focuses on your dog's good looks – we work to bring out your dog's own "personal" style. We guarantee we'll make heads turn, tails wag, and even drive a few mutts in the parks crazy. We also help to promote a healthy lifestyle through a well-looked-after coat and nails. Our appointments are booked one dog at a time – we don’t operate an "assembly line" where many groomers are servicing multiple dogs at once. Your dog will be the only pooch in the groom room for the entire duration of his/her appointment. This special treatment strengthens the relationship between dog and groomer, decreases unnecessary stimulation, and lessens the stress of an already stressful situation. While waiting to be groomed, your dog can happily rest or romp in our daycare, while taking many potty breaks in our outdoor play area. We understand how difficult it is to manage your time between a busy work schedule and home responsibilities. The Bark Zone Toronto has a number of additional pet care services to assist our loyal clients with pet-related errands, helping to reduce the amount of stress in your hectic, day-to-day life while making pet ownership as positive and rewarding as it can be! The Bark Zone understands that you may not have time in the day to run all of your errands. That’s why we provide Pet Taxi services for our Toronto clients and their urban pets including: Pet Taxis, Vet Visits, and Pet Supply Pick-Up & Delivery services. Just ask us for help with any errands that are taxing your day! THE LITTLE EXTRAS WE’LL DO JUST FOR YOU! If you are interested in any additional services that are not listed here, please ask! 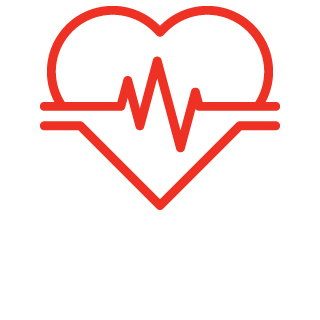 We will jump at the opportunity to help or advise you of an alternative option if we are not able to be of assistance.